"You see," he explained, "I consider that a man's brain originally is a little empty attic, and you have to stock it with such furniture as you choose. A fool takes in all the lumber of every sort he comes across, so that the knowledge which might be useful to him gets crowded out, or at best is jumbled up with a lot of other things, so that he has a difficulty in laying his hands upon it. Now the skilful workman is very careful indeed as to what he takes into his brain-attic. He will have nothing but the tools which may help him in doing his work, but of these he has a large assortment, and all in the most perfect order. It is a mistake to think that that little room has elastic walls and can distend to any extent. Depend upon it there comes a time when for every addition of knowledge you forget something that you knew before. It is of the highest importance, therefore, not to have useless facts elbowing out the useful ones." I had such a good month of reading. Every book was a winner. I bought this book six years ago, and actually made note of it here on the blog. I began reading it, and didn't continue. I don't know why. I gave my copy to the library book sale. When I saw it available to borrow from the state library's downloadable books I thought I'd try it again. I'm so very happy I did. Let it be a lesson to me. I loved this book. It had an old-fashioned feel to it, and actually reminded me of the Trixie Belden book (see below) a bit. There is a strong, happy family. There's a boy who is in need of support. And there's a country setting. The book exhibits such kindness between four sisters, whose mother had died a few years ago. The older girls miss her, while the youngest never really knew her. The father is one of those wonderful, gentle types who lives mostly in his studies, in this case botany. But he is most loving and wise when it comes to his girls. 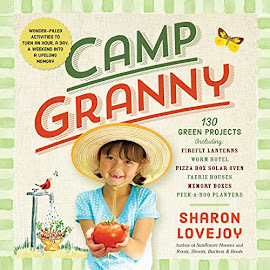 In this book, the family rents a cottage for a few weeks in the summer, and has many adventures. Nothing bad happens, though the boy has a somewhat difficult family situation which he overcomes in quite a fine manner. I thought the writing was great, the characters well-drawn, and the story just perfect. I'm happy there are two more ahead for me to read, and I hope there are more coming. I didn't love Lady Molly as much as The Old Man in the Corner but I did still enjoy it immensely. 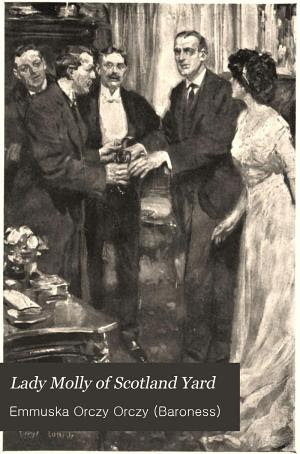 I got tired of the narrator always calling Molly 'my dear lady' but other than that, the mysteries were great, the solver a genius, the solutions unique. As with the other book, this is a collection of stories. 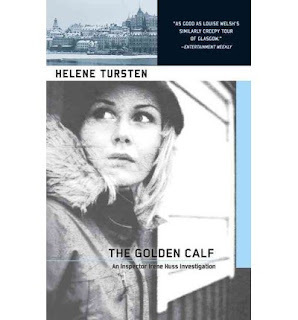 In my experience it is rare to find a modern-day mystery/detective fiction/thriller that doesn't objectify women in some way. Father and Son does not. 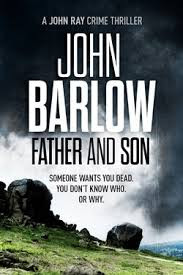 John Barlow's women, and his men, are people not types. He doesn't feature vulgar descriptions of women's bodies, dead or alive. That alone would recommend the book. As much as our main character John Ray would like to keep himself separate from his criminal father, he can't. Now his dad is in a nursing home, and the man John visits is not dangerous, nor is he the cheerful, exuberant father he once knew. But though Tony Ray has lost his strength and power, the past doesn't go away. At one point John thinks, Will this never end? And the answer of course is no. We cannot forget. We have to come to terms with both the good and bad. I'm finding it hard to say much about the book in terms of characters and details because there really is a terrific, and surprising, story here that I don't want to spoil. Is it enough to just say that this is a good tale, well told? I was so pleased when the author emailed me to say it was available, and now I eagerly wait for the next. There are to be nine in the series. I don't know when I've read anything quite so visual. Hope Road would make a great [TV] program. Letters from a Hill Farm. Here is my review of Hope Road. 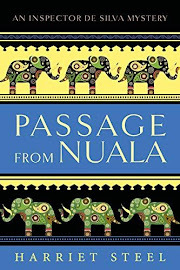 The novel is exclusive to Amazon at the moment, but I'm happy for you to tell readers that I will mail anyone an ePub version if they forward me a purchase confirmation email for a Kindle edition. I checked with Amazon and they're OK with this, and think it is a reasonable compromise. His address may be found here. The press often called Philip Bergman "the Golden Calf." His name came from his phenomenal ability to attract investors without needing to lift a finger. Everyone had fought to have the chance to dance around the Golden Calf. We get a look at the time of dot com failures, and people who make and then lose loads of money. Very good story. A life in the police is not an easy one. The job must always come first. 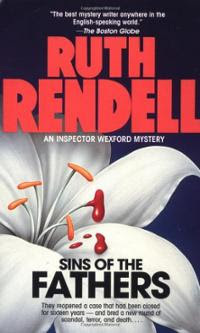 I continue to be wowed by Ruth Rendell. She writes like no one else. The reader gets to know her policemen very slowly, just as it would be in real life. I like that. The story in this book is that the son of a minister is going to marry a young woman whose father was hung for murdering someone. The girl insists he didn't do it because her mother told her so. The minister, much to his chagrin, is worried about the tendencies of this girl. Is murder in the blood? Anyway, the son asks the father to look into this murder from sixteen years ago. It was interesting to read about parent - child relationships in the 1960s, and I thought there was an excellent solution to the crime. 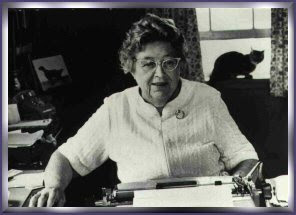 I don't know how I missed Trixie Belden in my childhood, but I never read any of the books about her. I read Nancy Drew and Cherry Ames but that's it. If you are interested in these series books from an older time, there are a couple great sites here and here. It was Kiirstin's review of The Secret of the Mansion which led me to borrow it from the library's downloadable books. I liked it even better than she did, and in fact, I'm quite sure I may say I loved it. I enjoyed every minute of my time within the pages of this book. Trixie's family is stellar. 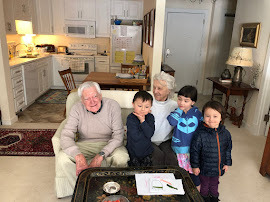 Simply wonderful parents, a goofy younger brother, and two older ones we don't meet because they are away at summer camp. The book offers one of the older themes of literature - that living in the country can strengthen one's health and mind. The kids in this book really live. No electronic screens. They're outdoors all the time. Trixie does important work in the household, both indoors and out, as well as taking care of her brother sometimes. Trixie's parents love and support her, yet let her be on her own to make her own mistakes and learn from them. Trixie is by no means perfect. She does things she shouldn't and often pays the price. There are horses, and a dog who runs free. And in the middle of all this is a plot about a creepy, falling-down old place, a young boy who moves in, a young girl who has everything but fun. 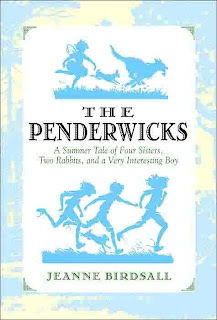 We read of real problems: a man so saddened and guilt-ridden by his wife's death that he becomes a hoarding hermit; a boy whose mother has died, and who runs away from a step-father who beats him; and a girl whose parents are very rich but seldom home. 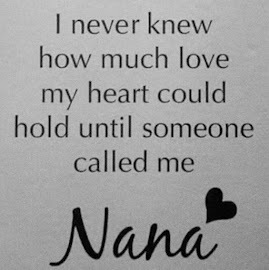 Her nanny/governess is the one who is there for her every minute. There is suspense and fun, and the book ends with a lure to the next one in the series. I thought it was just great. There's a nice piece here about the history of the series and the author. 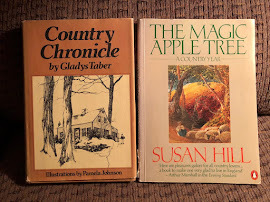 It was fun to learn that her childhood home was the basis for Trixie's own Crabapple Farm. Oh, but a June morning is magic! Outdoor life as seen through the window screens this week. Love the leaf shadows on her back. The bluebird couple. They often sit together like this on the wire. There are two mother wild turkeys with sixteen chicks. This day the little ones flew up onto the maple tree branch. On the top left, you can see one of several chicks who flew way up. And today's foray was into the garden. We often hear them before we see them - the sweet little peep, peep. I saw this recipe here, and made the pancakes a few hours later. Combine flour, sugar, baking soda, and salt. In a separate bowl, whisk together eggs, yogurt, vanilla, and mashed banana. Add yogurt mixture to flour mixture and stir to combine. Stir in melted butter or oil. Spray griddle with cooking spray, and heat to 350º F.
Spoon batter onto griddle, and let cook until bubbles form on the surface of the cakes, about 2 minutes. Flip and cook until golden brown on the other side, about another 2 minutes. I made these last night, and again tonight, topped with butter and maple syrup. Because Tom didn't want them two nights in a row, I've got some batter in the refrigerator to make some more tomorrow. I guess that tells you how much I love these pancakes. Delish! I think the last day of spring is a good time to write a farm and garden report. Two days after the big snow, we saw the beginning and ending of life here at Windy Poplars. We were discussing the cutting of the branch which broke off the garden lilac. We looked out and walking along it was an Indigo Bunting; the first we've ever seen here. It was a male, and as it flew off, we saw another bird fly into the nearby honeysuckle bush. Fingers crossed that it was a female, and that she will raise little Indigo Buntings. [haven't seen them again] Then just a few hours later, Tom came back from the barn and said a sheep was down in the same stall where Daisy the donkey died. He shut the door so he wouldn't be disturbed. This ram was born thirteen years ago, and had been very, very skinny for months now, but still was eating hay and wandering the pasture. When Nebby the donkey came, they kind of hung close together. That may seem like anthropomorphizing but we've seen quite a bit of this behavior since our wonderful new Nebby girl arrived. Anyhow, he hung onto life for a couple days, without suffering, just quietly dying until we called the vet to come and put him down. He said some animals will just linger like this. He also said thirteen was a great age for a sheep. That's what happens when an animal lives here with the vegetarians. Now, I'll go back to Mother's Day and tell you of Nebby's first adventure. We did as we always do when we get a new animal - we put her in a stall for a few days so the animals could gradually get acquainted. Well, that was the plan, and Nebby was fine with it for two nights. But just before we were to leave for Michael and his girlfriend Esteé's house, Tom checked in at the barn. Nebby was OUT. She had jumped over the stall gate. It still gives us horrors to think of what might have happened. But she was fine, she is fine. She just thought it was time to be out with her new charges. We decided that one of us needed to stay home to keep an eye on her, and since it was Mother's Day, I was the one who got to go. When the farrier came recently, he told us that if a donkey can reach her neck over, then she can jump. Since that day, Nebby has amazed us with her caring for the sheep and goat. She does what our late horse Bandit did, and what Daisy and Juno the late donkeys did after his death, she'll bray to round everyone up. It's as if she's saying, where are you? Time to come be together. Again, I'm not making this up. I'm not putting human actions onto an animal. If you saw it, you would know right off that this is what she's doing. She doesn't bray very often - not like Daisy who would welcome us home with her voice. Nebby is a quieter girl. She does a lot of looking. You've heard time and time again about how no fence can hold Esther the goat. Well, it looks like Nebby followed in her footsteps, literally. We had this bright gaudy orange fencing between the electric fence and the barn so Tom could easily get into the pasture with the tractor. Esther has long known that she could just push it a bit and get under it and out. I guess Nebs was paying close attention because she followed Esther out a few times. But the concern was that she couldn't get back in the same way. The first time Tom was home and he got her in. But the second time I was home alone. I was a little nervous because I know how donkeys make up their own minds about things, and I didn't know if I could get her in myself. I went outdoors and said, 'Well Nebby girl, can you and I do this?' I started walking toward the barn and she followed right behind me. I opened the door and she walked right in. Then I opened the upper and lower gates that go into the stall area, and she walked right in there as well. Nanny and Nebby - the A team! She is so docile. So gentle. A wonderful girl. So, Tom's first retirement project was a new wooden fence. It can be removed if he needs to get through, but Nebby cannot get out, though of course Esther can and does. Also a few chickens have been scooting under the fence and strolling around as well. The animals now go into the north pasture once or twice a day. Nebby's first time crossing was smooth, and now she is so at ease that she doesn't rush through the gate, but dawdles to munch a little grass. You can see she is shedding her winter coat now. The bluebirds are back! As I wrote a couple years ago, we'd always had swallows in the birdhouse on the telephone pole. And then we didn't. Then bluebirds showed up to use what is, after all, a bluebird house. This year we saw a couple swallows drop by and leave. Just for fun, Tom went out and checked the house. He cleaned out the box, and brought in the nest which was so interesting - made of feathers and hay and moss. And within a few days, voila, the bluebird couple appeared. There is a phoebe nest in the barn as always, and there are at least two robin nests nearby. But the BIG news from Windy Poplars is the return of the whippoorwills! When we first moved here, in 1981, we heard that wonderful sound every night. And then after a couple years, nothing. There are studies going on in the state, and maybe even nationally about why the whippoorwill seems to be declining. We actually went out on an Audubon mission one night listening for them in a town north of us, but we heard nothing. But now, one is singing between three and four each morning. We've been in touch with Audubon via email to report the happy event. You may hear what it sounds like here. We were very late transplanting the vegetable and flower plants this year with all the snow (! ), then heat, then rain, and then an early June frost possibility. We did get the lettuce in and it is growing by leaps and bounds. We have salads nearly every day now. You always hear people talk about how the best tomatoes are right out of the garden. Well, I would say that's true about lettuce. I've stopped buying it in the stores. It is never, ever that good. We're going to try growing it under the lights next winter. Instead of Tom building four new garden boxes and putting them in the field, we decided instead to build just two and put them on the lawn next to the other 8 boxes. Pole beans on the left, corn on the right. The original pole bean garden now has sweet peas along the poles, and a cucumber cage inside. The ticks are terrible, terrible, terrible. I hate them. They almost spoil the spring. Years ago we didn't have any, and now I can't walk outdoors without picking up one. And poor Sadie is black so we can't see them on her. I find myself staying inside more, and isn't that just awful. And they're even inside, occasionally caught on a piece of clothing. I found one climbing out of the clothes hamper, and another climbing up the door of the dryer. I've read the washing machine won't kill them but the heat of the dryer will. When I find one, I put it in a kleenex and burn it in the wood stove. Tom's mother has had two tick bites for the first time in her 85 years. The doctor put her on antibiotics just in case they were carrying Lyme disease. Happily, they begin to slow down as summer approaches. This is the season of blue/purple. Lilacs first, then an explosion of lupines, iris, mountain bluets, spiderwort, Korean lilacs, Baptisia australis, and aquilegia. And each plant's color differs just a bit from another's. Just as I was about to publish this, there was another little Nebby adventure. It was time to cross the animals from the north pasture back into their home pasture. Esther and the sheep crossed just fine, but Nebby thought, 'I wonder what is down the road.' Well, that is worrisome because it leads to the main road, and before that is Matt and Margaret's house with two dogs. She got as far as their house when she spotted the solitary red deer which has been hanging around lately. Then Lexi, the dog came charging after her. Nebby thought 'maybe this isn't such a good idea' and she ran back up the road to the barn. The deer ran away, and Lexi turned around and went home. Always an adventure at Windy Poplars Farm. 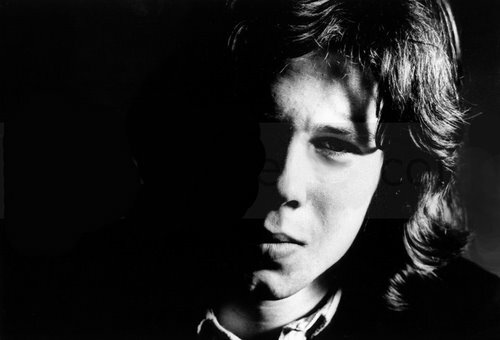 Today would have been Nick Drake's 65th birthday. This is his song Which Will, sung so beautifully by Vashti Bunyan. In the weeks before Tom's retirement day actually arrived, I found myself unable to sit down and read for very long at all. You know when you're a kid and Christmas or your birthday is coming up, and you can't really focus on anything else? Well, that's kind of how I've been. Which is fine, except for one big reason. A blogging friend of mine has written a book, and she very kindly sent me a copy. I began it, I read along for a while, and told Tom it is one of the best books I've ever read. No kidding. It is wonderful. It contains three of my all time favorite things in literature: time travel, a setting in England, and the time period I wish I had lived in - those years between the two world wars. The writing is excellent. I cannot praise it enough, even though I'm only halfway through. When I finish, it will receive a full post of its own. You may wonder why I'm even talking about it at this time, and here's the reason. June 14 and June 15 you may get your own free Kindle copy from Amazon. This offer is available on both US and UK sites. I am positive that so many of you will love this book, as I do, that you'll want to jump right on this. written by Kim Velk whose blog may be found here. She has also begun a blog just for the book here. I had good health, a dear little house, and, even more precious, a host of friends. Today is the first day of Tom's retirement after 34 years of teaching. This recipe comes from sprite writes. Cut the tops off strawberries, and slice them. Put in bowl and gently stir in sugar. Whip the cream. I added a little honey. Add yogurt to the berries. Mash the berries. (I use a fork.) Your goal isn’t to end up with a smooth consistency, just to make them less solid. Add more sugar if necessary. (If you have quality, in-season strawberries, you probably won’t need more.) - I didn't need to, even with doubling the strawberries. Oh my, is this ever good! A perfect, perfect dessert. So, I guess you could purée the strawberries if you wanted, but honestly, it was wonderful with just gentle mashing. I expect to make this several times during strawberry season. It is so delicious. Palace Malice ridden by Mike Smith, who will be 48 this summer. Second was Oxbow who won the Preakness, and third was Orb who won the Kentucky Derby. A wonderful few weeks of horse racing. The days run away like wild horses over the hills. 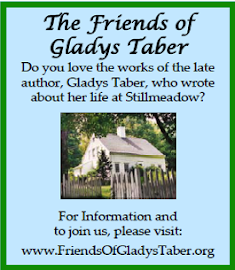 Many of us, including me, have noted that if Gladys Taber were alive today, she would be a blogger. When I read the following, I was even more certain. Letter writing is another good part of snowbound days. There are special friends and relatives that I like to visit lavishly with, and this takes time. I have neighbors in many places all over the world that I can write to and hear from in these days. For instance, there is a woman in Alaska whose husband is a trapper. They live in a kind of scow tied offshore, and she keeps house in a small cabin on the scow. She has an old rotting rowboat on the shore in which she has, in season, her garden. 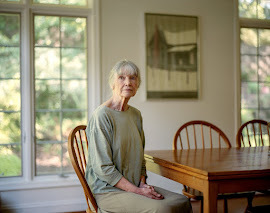 I have never seen this woman, but we are friends because we correspond about our gardens, mine in New England behind a white picket fence and hers in an old rowboat in Alaska. We also trade recipes, although I cook on an electric range and she cooks on a galley stove. There is another woman in Rhodesia; and one in Caracus, Venezuela; and one in Bristol, England. We have so much to say to one another about our houses, our dogs or cats, our gardens! 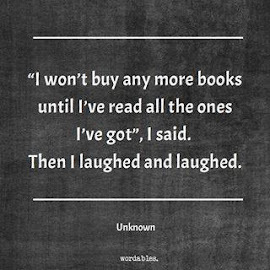 Doesn't this sound like all of us?! Excellent chip! I like a good chip. Very rare thing you know these days, a really good chip. Our own excellent chips aka French fries, made at home in the Fry Daddy. I actually made a change in my life from reading The Second Rule of Ten. For far too long I've been doing only seated-in-a-chair yoga because, well, you know what it's like if you have dogs or cats. The floor is never quite free of hair, and you are never quite alone if you want to lie down on it and do the bridge posture. The yoga room I created has long since been given over to a cat - a 'tail' for another day. The bedroom is the only room in the house without animals, but there was also no rug and the yoga mat alone just wasn't that comfortable to lie on. 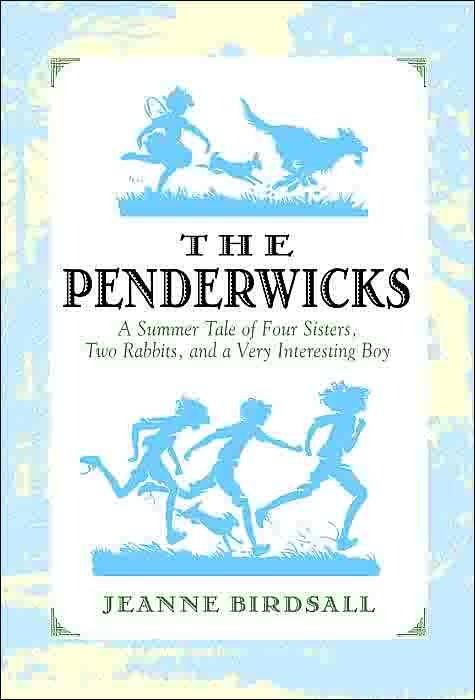 But reading the Hendricks book inspired me to do something about the situation. Do you know the expression, 'rob Peter to pay Paul?' Well, that's what I did. I took the rug which was under my study desk and moved it up to the bedroom. Just that small thing has made a huge difference in my life. Now I do much more floor work, and I am even able to do a little meditation, a la Tenzing because it is quiet. In The Second Rule of Ten, Tenzing gets involved with Hollywood types and a drug cartel, and we learn more about his own past with his father and the monks who were his early teachers. With everything he does, the reader sees him try to do right, to eat right, and to make time for his meditation. I so love this series, and can't wait for the prequel, The Broken Rules of Ten which comes out in July. This is how it went. We watched the only three episodes available so far of Jack Taylor on Netflix Instant. It was astonishingly good. A picture of the 'new' Ireland. We had been to Galway in 1971 and the city in this show was a whole different place. The acting was very good, and the stories were riveting, and sometimes upsetting, as one dealing with a Magdalene laundry. If you don't know about these things, or haven't seen the film The Magdalene Sisters, you may read more here (if you can bear it). Anyhow, I decided to read the first book in the Jack Taylor series by Ken Bruen, and was so impressed. The writing was spare and unusual. There are lists, which prompted me to tell Tom he reminded me of Nick Hornby in this particular way, and what did I read the very next day but "Nick Hornby had popularized lists." The book was even better than the televised version, as often is the case. Jack Taylor isn't an easy character but still worth meeting. There are quite a few books in the series. There is an interview with the author here. One evening I was watching As Time Goes By for the millionth time, and noticed Jean was reading a Ruth Rendell book. Years ago I read Simisola, and perhaps Road Rage, though I think it may be that Tom read it and told me about it. I decided it was time I delved more deeply into the Inspector Wexford series so I bought the first one, From Doon with Death for my Kindle. It's an odd title, but it does make sense as the book goes along. A quiet, unprepossessing woman is murdered and it is up to Inspector Wexford to make sense of why anyone would kill such a person. Rendell's work is described as "psychological suspense" - not usually something I care too much for, but I liked the book, and could barely put it down. She's a really good writer and I've already gotten the second in the series from the library. We had two kinds of lettuce when I was growing up. Leaf and store. Now in my salad bowl I may toss two kinds of endive, Oak-leaf lettuce, Bibb, braze beauty, New York 12, and Mayking. Remembering the book was published in 1950, I was startled to read this. I grew up in the 1950s, and all that was ever on our table was iceberg. It was only in the 1970s that I discovered dark green leafy lettuce that actually had flavor! As I have said, many a time, this is the wonder of reading old books. In the dry season we watch the sky anxiously for smoke. Forest fires are the great enemy. … Fires do not start by themselves, and when I think of the devastation a single tossed cigarette can do on a dry roadside, I feel positively murderous. … All modern cars have ash trays, so motorists do not have to fling their glowing stubs to the grassy roadside. Which got me thinking; now cars do not have ashtrays (notice how the spelling has turned into one word since 1950). And still there are lots of smokers. What do they do with their 'glowing stubs?' Toss them out, I'd guess. As I finished Stillmeadow Seasons, I wondered if Gladys, wherever she is now, can see me, 63 years after this book was published, living much the same life she was living back then. I hope so. I wish I could remember who led me to Baroness Orczy so I could thank her. This book was so interesting. I could barely get my head around how long ago The Old Man in the Corner was written. Such a concept. 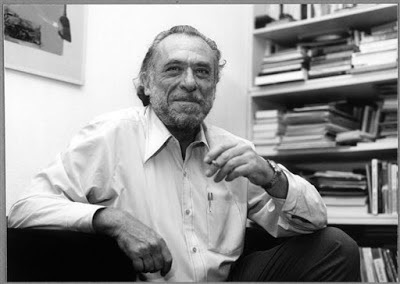 A young woman reporter goes into a restaurant and there is the man of the title sitting there. He begins telling her how he has solved cases the police couldn't solve. Each visit he tells her a new case, which is a chapter in the book. The reader is amazed at his intelligence. The cases are quite fascinating. I just loved the book, and have also 'bought' for free Lady Molly of Scotland Yard by the author. Addendum: it was Debbie and you may find her review here. I'm not wild for cozy mysteries, but I still wanted to read Murder is Binding because it is set in a Hay-On-Wye type of town in New Hampshire, on the Massachusetts border. The town was going downhill until someone came up with the idea of turning it into a destination for book lovers. Now tour buses come and drop off customers. Our heroine Tricia's mystery bookshop is called Haven't Got A Clue. As I read along I had various feelings. Sometimes I liked the story. Sometimes the characters drove me crazy. I liked mentions of authors and book titles. But on the whole I found much of it just too far-fetched. The policeman is a 'sheriff' - except for the fact that in northern New England such a position is never the town cop. I think sheriffs serve papers or something but they do not do the day to day policing. And I couldn't accept the sheriff deciding someone was guilty with no evidence. I might read another one sometime, or I might not.